hosted by Red Carpet Studio! If you've come from Robin's blog, you're in the right place. 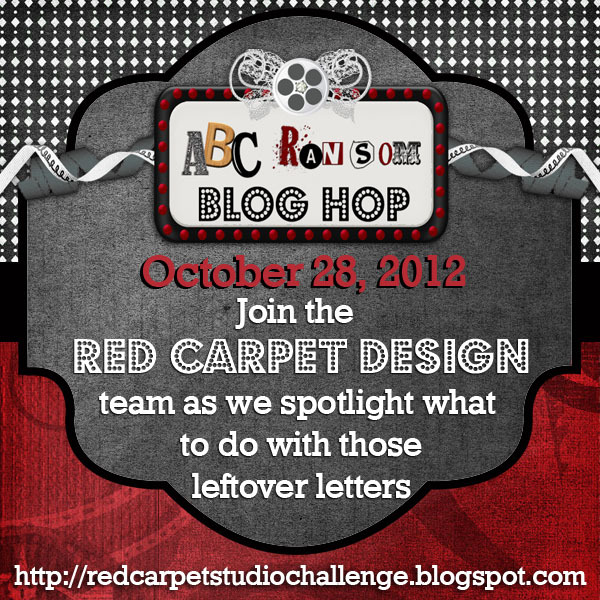 The Red Carpet Studio designers thought it would be fun to host a mystery blog hop while showcasing projects that can be made using all those leftover letters in your stash - hence where the "ransom" comes in. Ransom notes play a huge role in mystery/suspense films, and are often created out of random letters cut from magazines, newspapers, etc. in order to disguise handwriting. While we won't be doing any kidnapping or holding anybody ransom today - we do have some creative projects to share with you! For my project using leftover letters in my stash, I created this cute scrapbook layout of my daughter's first day of school. I had this paper pack in my stash that needed to be used. Then I used my Art Philosophy cartridge to cut out this letter background. We're also holding some blog candy ransom! However, the blog candy is hidden, and only certain stops of the hop are hiding it. The only way you can win is if you comment on those blogs! Now, we're not going to tell you whose blogs those are (that would be too easy) but we will tell you what the prizes are! There will be three winners. Please make sure to leave your contact information when commenting so we can contact you if you win. You have until next Saturday, November 3rd, to hop and comment. 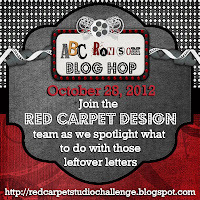 Winners will be announced with the start of our next layout challenge on Sunday November 4th at Red Carpet Studio. 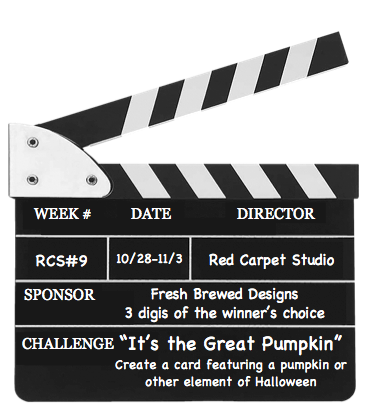 And don't forget to check out this week's challenge at Red Carpet Studio! Our challenge this week is inspired by "It's The Great Pumpkin, Charlie Brown" and the challenge is to create any fall or Halloween card. Your next stop is Stephanie J's blog. P.S. My letters are M.
Don't forget there is a GIVEAWAY going on until Nov. 15th! Couture Stamping Academy now has 21 new members, and exclusive video with more to come, and card samples. Join the community and share in the fun! Love your layout with all the cool letters. TFS! Cute LO. School pictures are some of my favorites to scrapbook. I just love those colors in your wonderful layout. Great page and super sweet photo. Awesome layout and a sweet photo! Glad to be on the hop with you! Such a sweet layout. Love the use of your leftover letters. I am loving this hop. Awesome layout love the letter background !! I love this layout. Really clever. Having fun on this hop. Lots of great things to see. I love the layout and the letters background! It is perfect for a school layout! Really cute! Thanks for sharing! Loving the background letters. Great job with the hop. Chas DT sister. gorgeous layout...love how you used the left over letters. Your girl is a cutie pie! wonderful job on the hop. Wow so many alphabets everywhere .. Cute! Great use of the letters, love your page! Great page layout .Love the background and the tags . Thanks for sharing on Make it Monday . 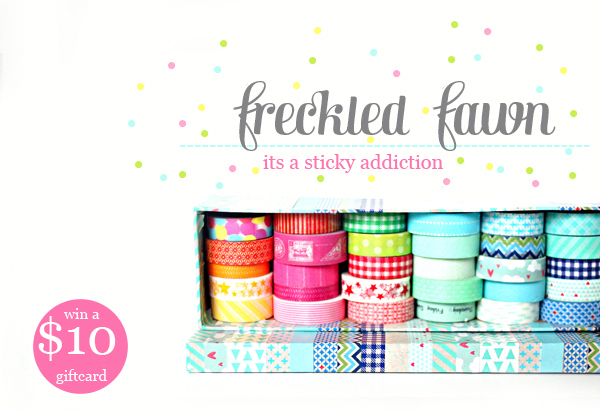 Love your letter background, fun layout!